With summer vacation on the mind, where can someone go that is beautiful, relaxing, and exciting, yet easy on the wallet? Ginnie Springs, Florida, is the place for all of that and more. Ginnie Springs is located just shy of three hours from Saint Petersburg. 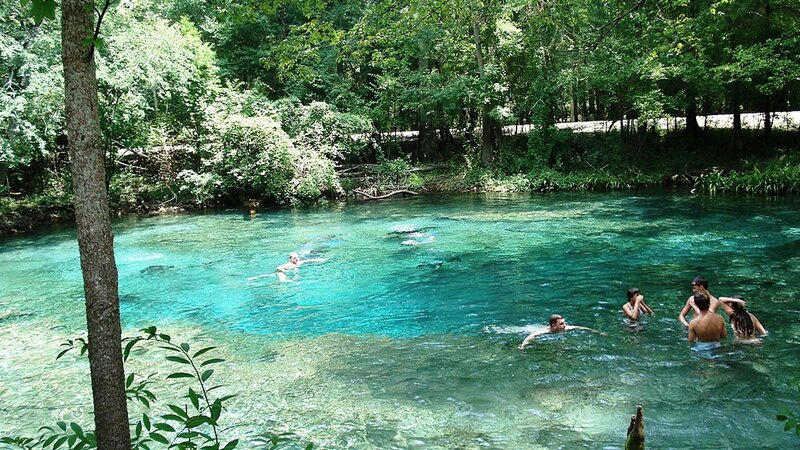 Ginnie Springs is located on the Sante Fe River in High Springs, Florida, and if you haven’t guessed already, it is full of natural, crystal clear springs; seven to be exact. The springs stay a refreshing 72 degrees year round and run into the Sante Fe River. The Ginnie Springs LLC property is a massive 200 acres of wooded land that has beautiful camping areas. The camping areas have picnic tables, grills, and nearby restrooms that offer hot running water for showering. If you’re lucky, you will find a spot that has a big pile of fresh cut wood to use for building the perfect fire for s’mores! For the not so primitive, Ginnie Springs also offers cabin rentals with full electricity and running water. Ginnie Springs offers tube and kayak rentals so you can enjoy floating down the river and exploring the springs. The dive shop located on property has all the essentials for exploring beneath the water and into the spring’s caves. They offer special rates if you would just like to enjoy the springs for a day starting at $13.09, or for $21.34 a night, you can enjoy the springs for multiple days while camping under the beautiful canopy of the trees. 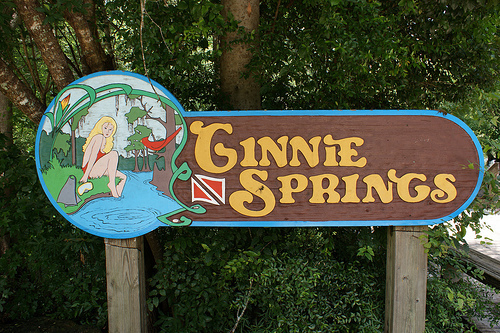 The main spring, the “Ginnie Spring” is not only beautiful by daylight, but also by moonlight. This spring is lit up at night and takes on a serene feel whilst the light glimmers on the bottom. Fish called mullet float through the water gracefully and enjoy swimming side by side with snorkelers. Turtles and swimming snakes are a common sight as well. When visiting Ginnie Springs, a tube ride down the Sante Fe River is a must. You may bring your own tube or rent one. Enter via one of the tubing springs entries and enjoy a relaxing float down the river. Keep your eyes peeled for various rope swings, hidden spring entries, and wildlife. A floating cooler is definitely a good investment to have stocked with food and beverages, as an average tube ride can be about an hour and a half. Whether you are looking for a day getaway or a weeklong camping adventure, Ginnie Springs has something to offer everyone. When you finally decide to hit the road after an amazing time, don’t forget to wave to the horses flanking the guard gate on the way out, but don’t get to close – they are known to bite! For more information, go to their website! Header photo property of Nexttriptourism.